We have thus far read about the success and sacrifice of the Sahabah in their time was in because of their love for Allah SWT and for His Nabi SAW. Love, was a powerful force in the Sahabah's lives. It was this force that made them sacrifice their luxuries, forget their lives, give up all their desires or wealth, ignore all suffering and have no fear of death. There is no place for any other worry (except that of the beloved) in a heart filled with love. May Allah SWT through His Grace grant us his own love and that of his Nabi SAW, so that we may be blessed with correct worship and have solutions in all difficulties faced in His service. To those who accepted Islam in the beginning had to keep their faith secret as far as possible. 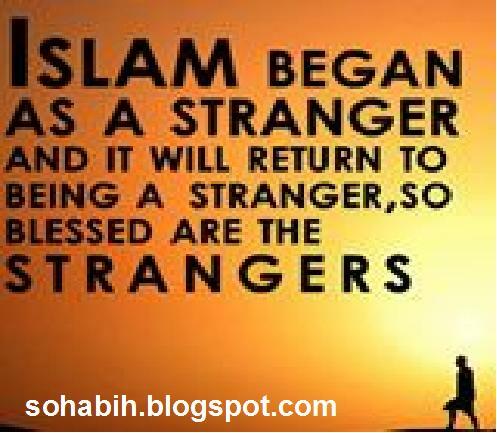 As the Muslims were being constantly badly-treated by the Quraish, even Nabi SAW advised all new converts to practice Islam secretly, so that they might not have to suffer at the hands of Quraish. However, when the number of Muslims reached 39, Abu Bakr RA made a suggestion for the open preaching and practicing of Islam. Nabi SAW would not agree, but when Abu Bakr RA insisted, he gave his permission and so all of them went to the Haram for Tabligh. Abu Bakr RA began to speak and the Khutbah (lecture) given by him was the first ever delivered in the history of Islam. 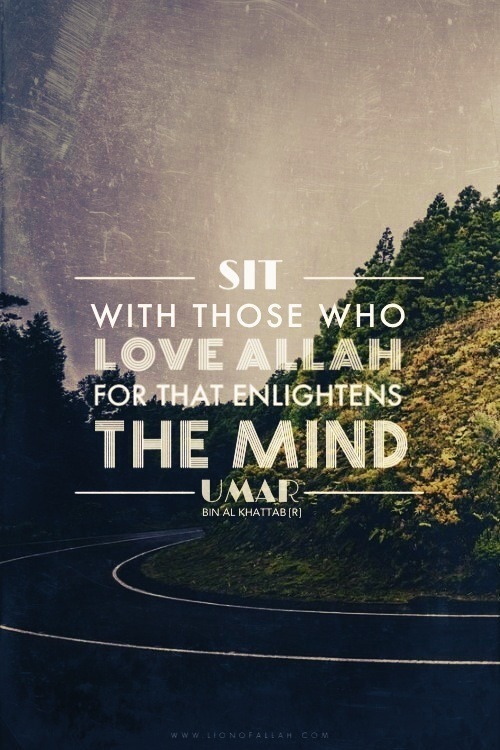 Hamzah RA , who was Nabi's SAW uncle and the Chief of the shuhada accepted Islam on that very day, while 'Umar RA came into the Islam on the third day after this lecture. When Abu Bakr RA started speaking, the idol worshipers and disbelievers from amongst the Quraish attacked the Muslims from all sides. Despite the fact that he was considered to be one of the noblest and most respectable of all the people in Makkah Mukarramah, Abu Bakr RA was beaten to such an extent that his nose, ears and his entire face was covered in blood. He was kicked, thrashed with shoes, trampled and handled most roughly and cruelly. He became unconscious and half-dead. No one hoped that he would ever survive this cruel attack. Banu Teem, the people of his clan, came and carried him to his house. They also announced in the Haram that if Abu Bakr RA passed away because of the injuries, they would in revenge take the life of Utbah bin Rabee'ah, who had taken the most active part in the attack. Abu Bakr RA remained unconscious the whole day. People around him shouted his name again and again to know if he was in his senses, but he would not speak. However, late in the evening he opened his eyes and showed signs of consciousness. As soon as he was able to speak, he asked: "How is Nabi SAW?" The people were most disappointed with him and they said: "How is it that, despite all this hardship and after remaining close to death all day long because of Nabi SAW, as soon as he has come back to consciousness he has nothing else to talk about, but Nabi SAW himself." They left Abu Bakr RA , disgusted at his love for Nabi SAW, while they were satisfied that he was out of danger. They advised his mother Umme Khair to give him something to eat. However, not worried about his food, Abu Bakr would again and again and impatiently ask his mother the same question i.e. "How is Nabi SAW ?" Because she did not know about the condition of Nabi SAW , Abu Bakr begged her to go to Umme Jamil (Umar's sister) and find out from her the latest news about Nabi SAW. The mother could not refuse the request of her son in this sorry condition and hurried to Umme Jamil's house to ask about the condition of Muhammad SAW. Like other Muslims of that time, Umme Jamil was also keeping her faith secret. 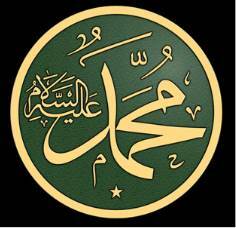 She therefore hid her knowledge about Nabi SAW saying: "Who is Muhammad and who is Abu Bakr? I am sorry to learn about the condition of your son; if you like, I can go with you to see him." Ummi Khair agreed and they both came to Abu Bakr RA . On seeing Abu Bakr RA in that miserable condition, Umme Jamil RA could not control herself and began to cry, saying: "Destruction to the thugs for what they have done to a man like Abu Bakr RA . May Allah punish them for their bad behavior!" 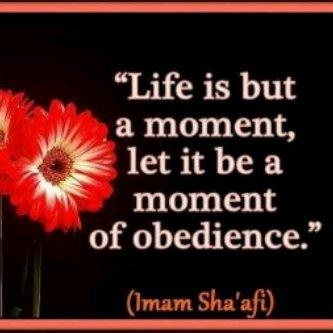 Regardless of what Umme Jamil said, Abu Bakr had the same words on his; lips: "How is Nabi SAW? "Umme JamilV (pointing towards Umme Khair):"Is it safe to say anything in her presence?" Abu Bakr RA: "Do not worry about her. Tell me quickly how is Nabi SAW?" Umme Jamil RA: "He is quite well." Abu Bakr RA"Where is he at this moment?" Umme Jamil RA: "He is at Arqam's place." Abu Bakr RA : "By Allah! I will not eat anything until I see him." His mother was very eager to feed him. She knew that when he had sworn by Allah SWT, he would not break his oath, therefore, he would not eat under any circumstances. She therefore agreed to take him to Arqam's place. She had to wait till the street was quiet and she was then able to take him to that place unnoticed by the Quraish. When they both reached Arqam's place, Abu Bakr RA saw Nabi SAW and held onto him weeping profusely. Nabi SAW also cried, and all the Muslims who were present there also began to weep over the condition oF Abu Bakr .RA .Abu Bakr then introduced his mother Umme Khair to Nabi SAW , saying: "She is my mother, O, Nabi of Allah! Make dua for her and encourage her to accept Islam." Nabi SAW fisrt made dua for her and then gave her dawah towards Islam. She accepted Islam there and then. Many people can claim to be lovers while in ease and comfort, but a true lover is he who is able to prove his love even in difficulty and hardship. Everyone knows of the bravery, courage and strength of ‘Umar Al Khattab RA . Even after 1400 years, hearts are shivering with awe and respect when his name is mentioned. Islam could not be spoken about and preached openly before 'Umar's coming into Islam. As soon as he accepted Islam, the Muslims started saying Solah in the Haram, as none could dare harm them with 'Umar RA on their side. Notwithstanding all this, he could not bear the shock of Nabi SAW passing away. So much so that he stood with sword in his hand, very confused and dazed saying: "I shall cut off the head of the person who says that Nabi SAW has passed away. Nabi SAW has only gone to visit his Lord, just as Musa had gone to Tur. He will shortly return and cut off the hands and feet of those who were spreading the false news of his death." 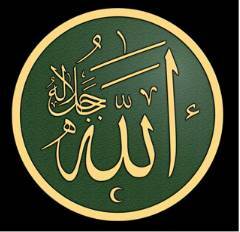 "Muhammad is but a Rasulullah, many Rasuls have passed away before him. Will it be that when he dies or is killed, you will turn back on your heels? He who turns back does not hurt Allah SWT , and Allah SWT will reward those who are grateful. "(S3 : V144). As Abu Bakr RA was supposed to be the Khalifah after Nabi SAW, it is important that, unlike other Sahabah , he behaved with the calm and patience that were needed on an occasion like this. Again, it was Abu Bakr RA alone who knew better than anybody else about the laws regarding the burial, inheritance, etc, of Nabi SAW. "Ambiyaa have no heirs. All that a Nabi leaves behind is Sadaqah." "Allah's curse is on the Amir who does not take proper interest and does not take proper care in the appointment of his deputies." The leadership shall remain in the custody of Quraish.